I'm not Considering Working in the Catering Trailer? 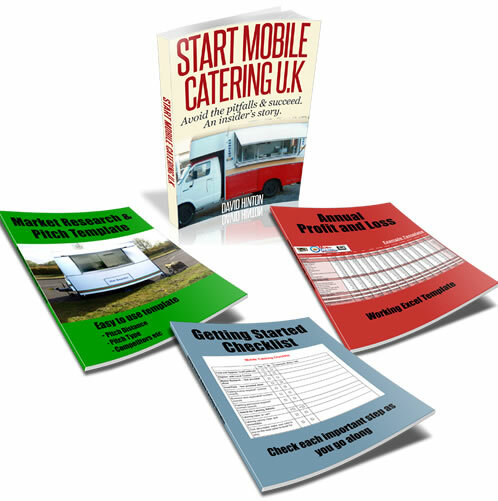 Hi I'm considering buying a catering trailer, and read your thread which i thought was absolutely brilliant. It was a very informative and exactly what i was looking for when i started my research. I'm not considering working it myself I'm going to employ someone can you tell me how you did you go on declaring your earnings to the tax man. I've been told you don't have to register for three months, also could you tell me roughly how much public liability insurance is the van. I’ve been looking at is 12 ft by 6ft any info you think could help me i would be so grateful thanks, Fran. Comments for I'm not Considering Working in the Catering Trailer? With regards to declaring your earnings your right in that you have up to 3 months to declare your earnings. After this period you could face a fine of up to £100 pounds if you don't register yourself. You can also download a form here for self employed people. After the form is filled in and sent off you will receive a starter pack which will explain how to pay your taxes.If your still unsure you should seek advice from an accountant to be on the safe side. With regards to public liability insurance, this varies between each insurance provider so I am not able to tell you how much, but it's generally around a few hundred pounds a year. Don't take the first quote - have a look round for the best results, you will be surprised of how much money you can save. Hope this information is useful for you, and best of luck with your business.